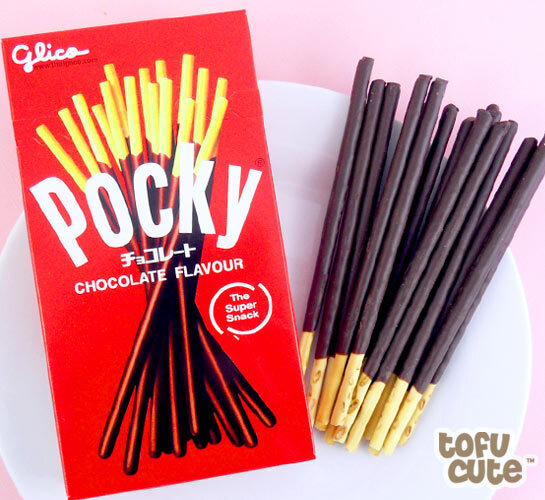 Who needs a lover when you can have Pocky? In the book, I mention my favorite late-night snack / hangover snack in Beijing: Pocky (or Pepero in other countries) It’s a crunchy cookie shaped like a stick and half-covered in chocolate (or white chocolate, strawberry and green tea icing). It is perfect for snacking while binging on DVDS or sitting on your orange couch trying to summon the will to make dinner (I hear…). November 11 is a day to celebrate being single and we eat Pocky because the sticks look like single stick people without limbs. Don’t think about this too much. Just eat the Pocky and be merry. What’s that? You don’t know HOW to eat Pocky? I wish I could say this wasn’t the way we ate Pocky at my magazine office in Beijing, but it definitely was.